Wedding Project: Card Holder - Jill Ruth & Co.
Secondly, spray paint cage and base with primer and black paint. 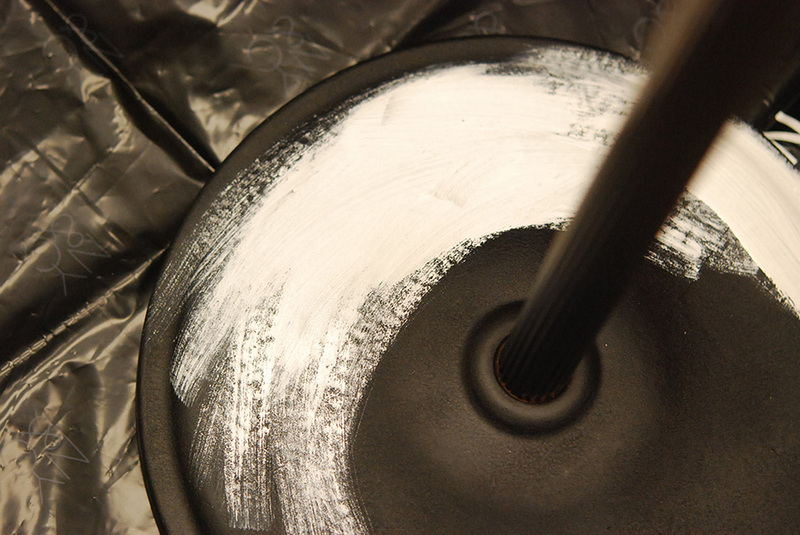 Third step, realize it's too black, too plain, too...not right. Paint, scuff, sand, paint, sand....oh, you get the idea? can I stop with the repetition?! Then embellish away. Which meant adding all kinds of flowers wired this way and that way, only to say, "hmm...don't like that much" and take them all off and start again! Of course I didn't take a picture of the rejected design. That would be scarring. 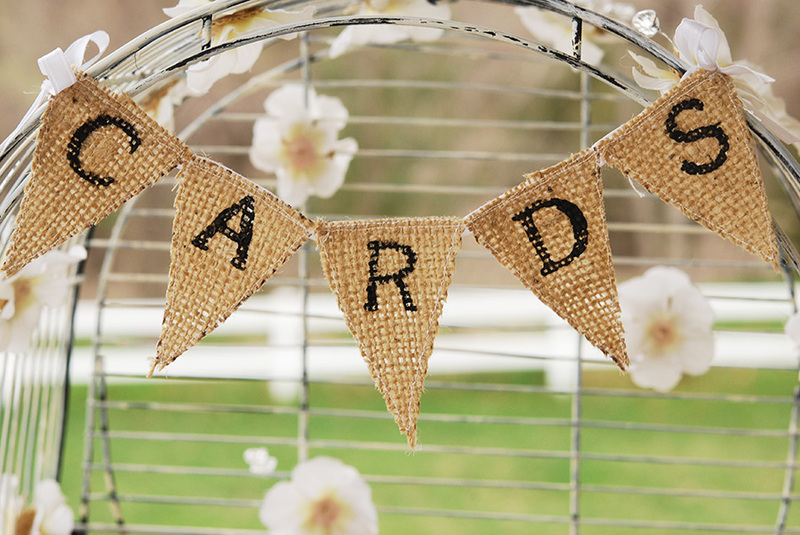 I think banners of burlap could adorn every part of my house and I'd love them! 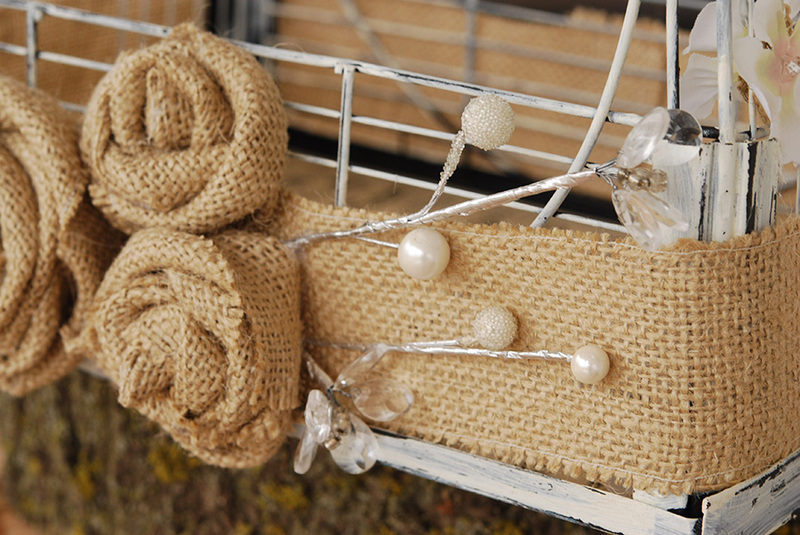 The burlap just goes naturally with the wood theme we have going. Just a little bling to enhance the burlap. 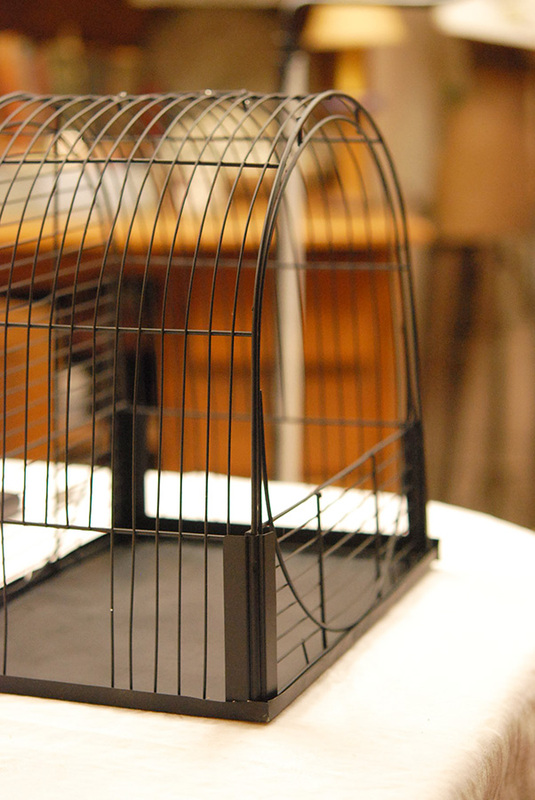 We put in a piece of sheet music in the bottom of the cage with mod podge, and we are now good to go with this project! Randy cut the rest of the centerpieces yesterday! Yeah! That looks fabulous! Really great idea! Absolutely terrific.This is going to be such a lovely wedding.I often wish I knew what I know now.My wedding would have been so awesome if I had junqued it up.Enjoy. So pretty I love it I used a birdcage in my daughters wedding last year also. I love all the woods look we used some in hers as well just be careful and spray them with a clear coat because they will crack when they dry out. Also do you have a cake design because I think you would like the one we used for my daughters wedding. Can't wait to see more great job. Perfect! Keep those wedding ideas coming! I'm taking notes! One more month of school and then little miss indecision can start giving me the go-ahead on ideas! 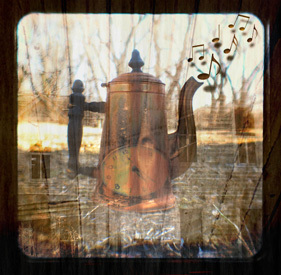 What a great idea and such a beautiful crafting! 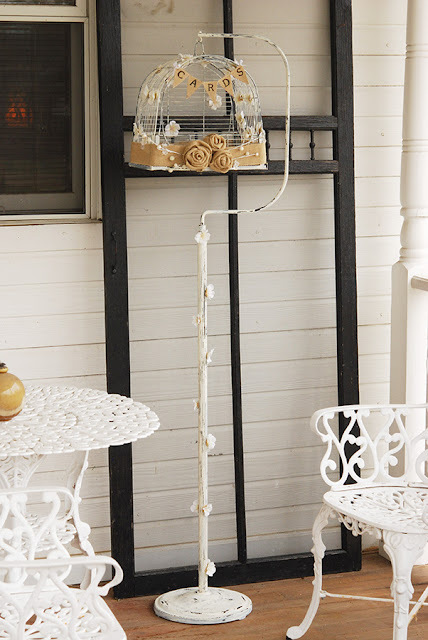 Wonderful idea - so very rustic and beautifully elegant. That was an excellent idea...and a perfect 10 for bringing it to fruition! Just love it! I think this is also worthy of a magazine submission!!! Thanks for stopping by. The cake stand that we used was made by the groom. 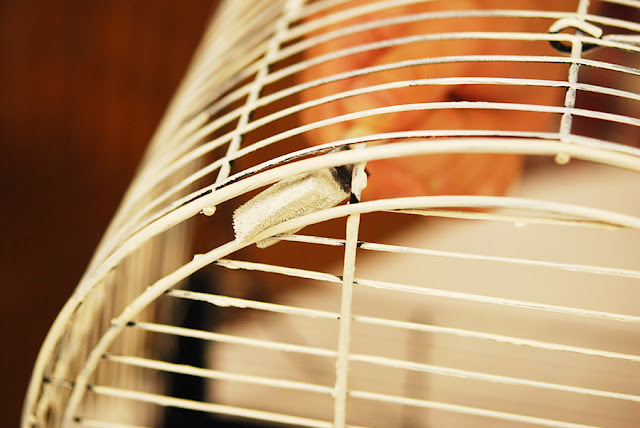 He used some kind of metal and bent it then attached it to a metal base that he also welded. It was very sturdy. They I just covered it with moss and wood. Good luck on you venture if I can be of any help let me know. I plan lots of weddings so I know of alot of good online vendors. fabulous idea! love all the elements coming together! Lookie lookie! how cute is that! Now I need your energy. I have created zip in 2 days..not even a post in 6 days! someone get me out of my pj's and this funk!!!!!!!!! Wow just wow! 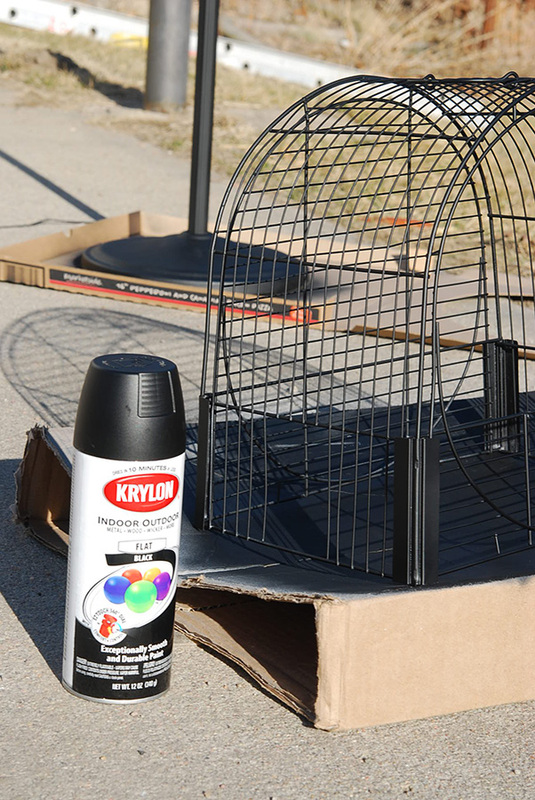 I've been into black spray paint for a while - but you've really kicked it up a notch!!! 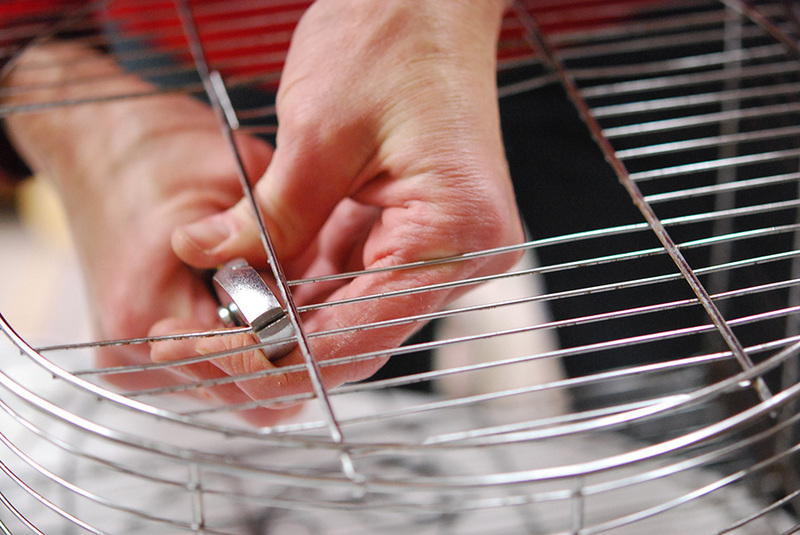 I have a wire basket this would be great for!! Beautiful job! another great project! love the burlap flowers! I think I would add some to the tree collage:) Can't wait to see more, this is just as much fun as waiting for the royal wedding!!! Oh my goodness - your card holding bird cage is wonderful! It is so eye-catching, as well as totally functional. I would think any bride would want to keep her cards in it and use it as part of her decor after the big day too. That is stunning!! 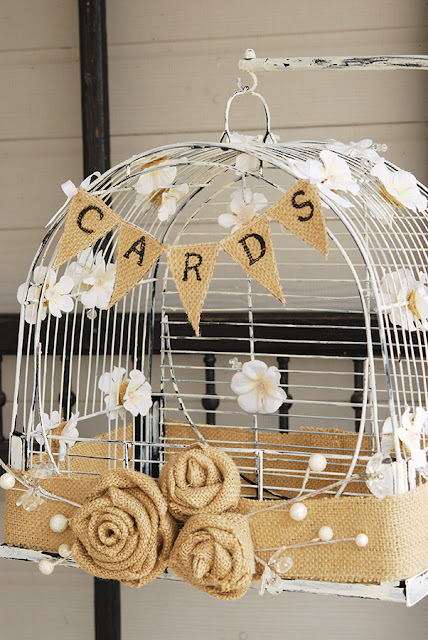 I love the idea of using a bird cage for cards and you did a perfect job painting and embellishing it. It is just beautiful!!! It is going to be one gorgeous wedding. P.S. I don't think Sparks, KS would be a bad drive for you. Sparks is in the NE corner of KS....not too far from Nebraska. Oooohhhh! I love this! The wedding is going to be beautiful. You make me wish I was getting remarried. Or at least planning a wedding. WAY FUN!!!!!!! You have the best imagination...what special touches will adorn this wedding. Love it...! This would work for holding Christmas cards too, wouldn't it?! 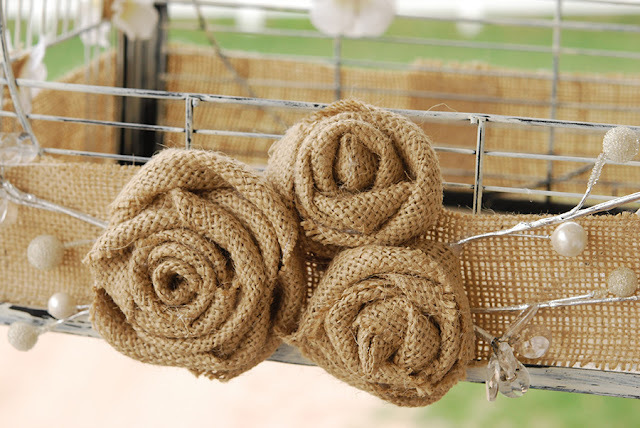 I would love to know how you made the burlap flowers or where you were able to purchase them. Thank you. The idea and final product is beautiful.